With the Tom Schneider Ellipse Console Table with Inset Shelves, you can easily display your favorite items while infusing a classic/modern touch to your interiors. 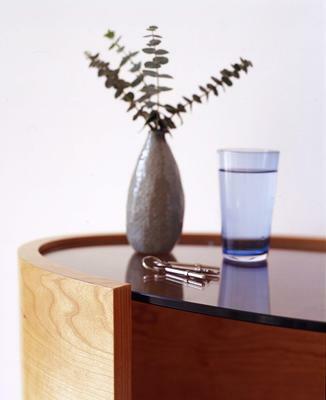 The table is crafted with an ellipse design and fashioned from high quality wood. 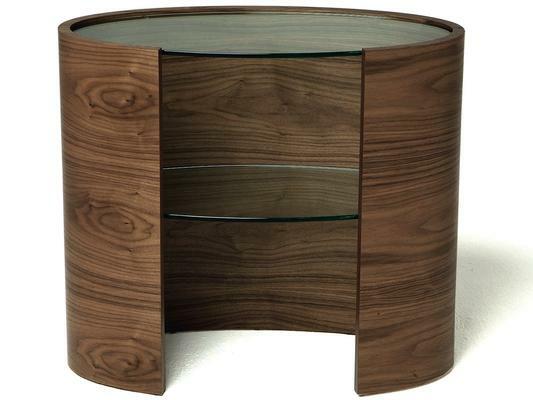 Its rich wood grain and texture is exquisitely showcased thanks to the stunning wood finish. 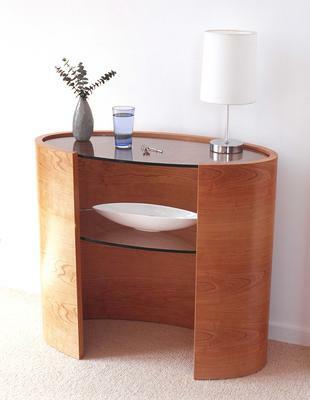 It's complemented by glass inset shelves which offers a free flowing aesthetic along with storage.